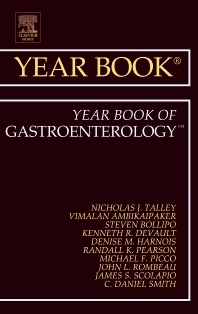 The Year Book of Gastroenterology brings you abstracts of the articles that reported the year's breakthrough developments in gastroenterology, carefully selected from more than 500 journals worldwide. Expert commentaries evaluate the clinical importance of each article and discuss its application to gastroenterology practice. The full spectrum of gastroenterology is covered, with articles selected devoted to the esophagus, bowels, pancreas, anorectum, and liver, as well as important disease states like hepatitis, IBD, and all cancers.